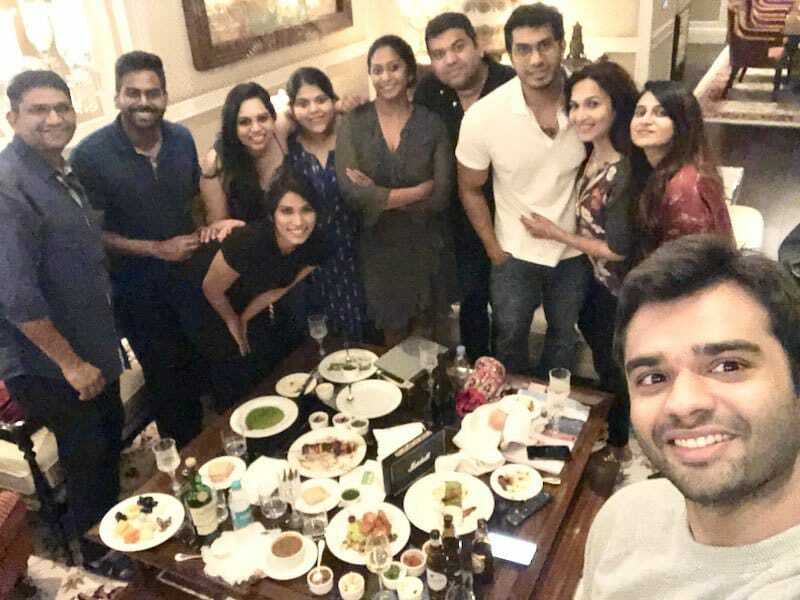 Check out who all joined Soundarya Rajinikanth's first big treat after her wedding! 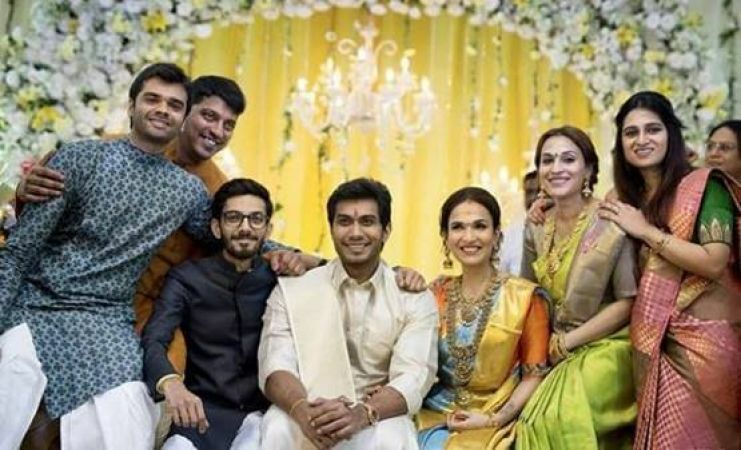 Soundarya Rajinikanth recently married Vishagan Vanangamudi, an actor and entrepreneur in a lavish wedding that took place at the Leela Palace in Chennai. 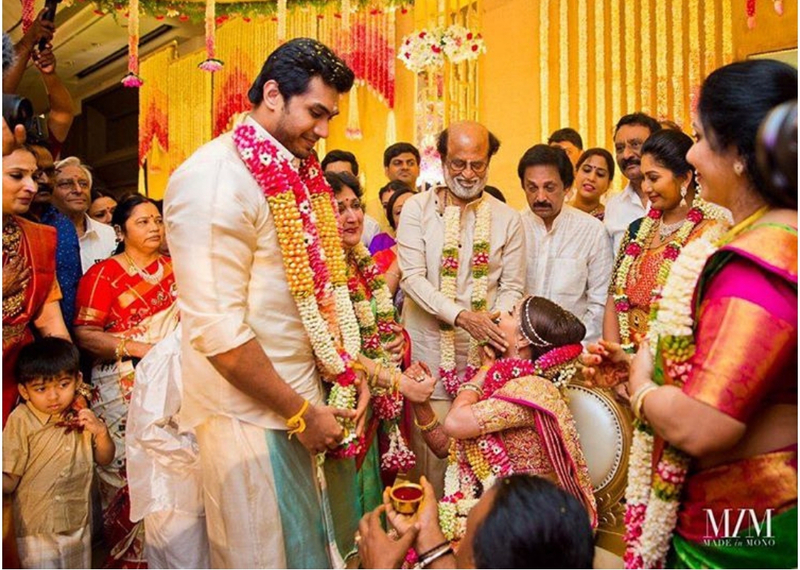 The wedding was the talk of the town as numerous celebrities and politicians from across the nation attended the gala marriage. 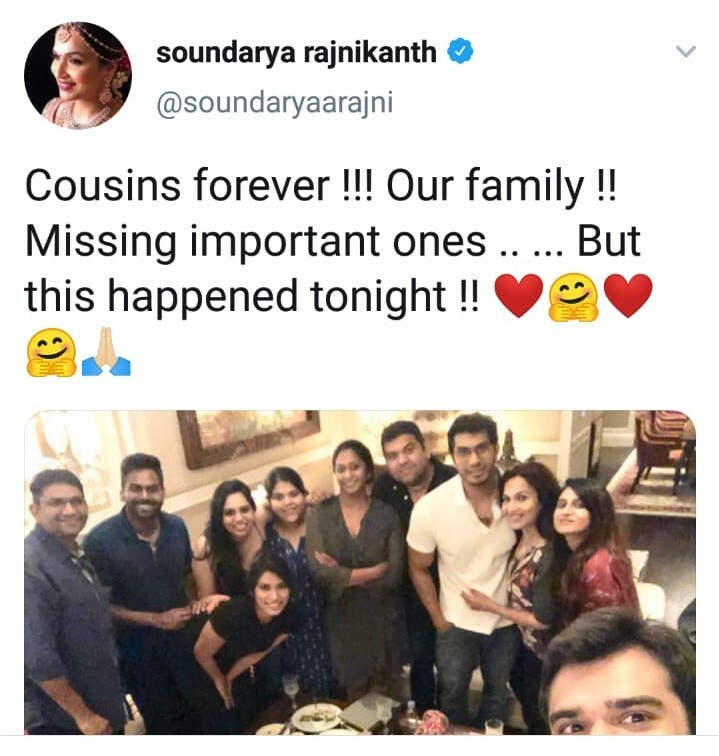 The emotional moments captured at the wedding between Soundarya and her parents, sister and son has been a viral trending topic in social networking forums and showed the amazing bond they share.